It was last July 1, 2018 when the Embassy of the Republic of Korea in the Republic of the Philippines issued a new process of visa application for Philippine passport-holders. Check out this article for more details. 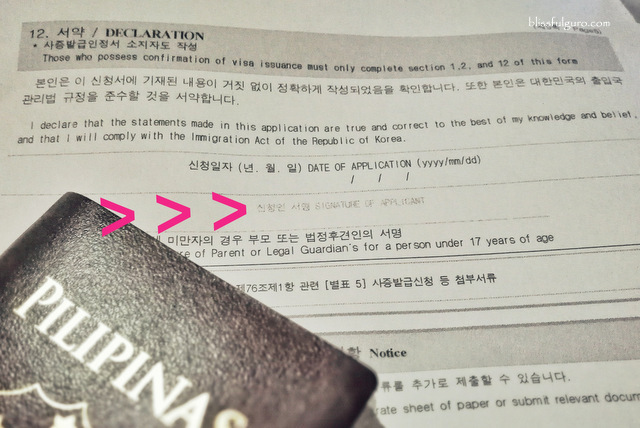 Applying for a Korean Tourist Visa in the Philippines is fast and easy if you have all the requirements needed. Months ago, I was confronted by my first ever visa application, and gladly it was a success. Best thing of all was that the application itself was absolutely free! I am uber meticulous in filling out any type of document form. I always ensure that I read all the details carefully and that I don’t miss any item. So when it’s time for me to apply for a Korean Tourist Visa, I made sure that everything was completely filled out with meticulous precision because I know that once my application is denied, I have to wait for another six months to re-apply, and I don’t want that to happen of course (check here for discounted tours, transportation and activities in Seoul). 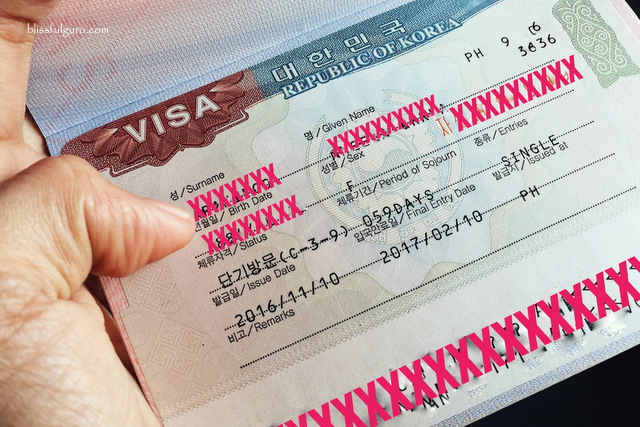 When applying for a Korean Visa in the Philippines, there are different sets of requirements for specific individuals such as for; employees, businessmen, students, housewives/househusbands, retired senior citizen, Korean’s sister/brother-in-law, Korean’s parents-in-law, Filipino married to a Korean, religious workers, seafarers, workers with visa issuance number, short term employment, studying in Korea, Filipino married to foreigner working in Korea, foreign resident in the Philippines, children of a Filipino married to military personnel stationed in Korea, Filipino married to military personnel stationed in Korea, parents of a Filipino married to military personnel stationed in Korea, and D9 visa. For this article, I will only be discussing my experience when I applied for a Korean Tourist Visa as a regular employee. Just a backgrounder, I still didn’t have flight tickets, trip itinerary and hotel accommodation when I applied for the visa, they will not be asking for those when you apply. For the requirements of other visa types, please go directly to the official website of the Embassy of the Republic of Korea in the Republic of the Philippines. To start with, I checked out the embassy’s official website and quickly scanned the Visa Announcement Page (check here) for promos and other current visa-related matters (there was a promo for elite credit card holders of a certain bank when I applied, sadly, I don't have that specific type of credit card). *Frequent travelers who have traveled as tourist to OECD member countries within five (5) years are exempted from submitting ITR. I also looked at the Specifics of the Visa Application itself so as to plan my embassy visit accordingly. Applicants may file their visa applications at the Consular Office (see address below). No appointment is needed. Application is a first come, first serve basis. In cases that there will be a lot of applicants, those who will arrive after 10:30 am may not be accommodated. If traveling with a group, a representative can submit and claim all the documents for each applicant. For family applications, document/s for proof of relationship is a must (Marriage Contract, Birth Certificate) and should be filed together. All original and photocopied documents (such as bank certificates) that will be used on the application will not be given back to the applicant. You will also be leaving your original passport at the Consular Office and if the requirements passed are complete, you will then be given a claim stub for you to claim it. The date stamped on it will be the release date. You may also bring your old passports just to be sure that you have it when they ask you to present it. Processing takes five (5) days for first time travelers and three (3) working days for frequent travelers. It may be extended though, depending on the Consul’s decision. Validity of visa is three (3) months from the issue date. After completing all the requirements, I Downloaded an Application Form here and printed it on an A4 size paper. I made sure that I did not leave any item blank and put N/A (Not Applicable) instead. Just to make sure, I accomplished two copies of the application form and checked it three times before heading to the embassy. Here are some of my specific responses I had on my application. Fill out the application form legibly and honestly with no erasures. I used block (all capital) letters in all of my responses. Don’t leave any item blank and put N/A instead (this is very important). Item 1.2. Chinese-Korean Name – "N/A"
Item 1.7. National Identity No. – "N/A"
Item 1.8. Other names used to enter or depart Korea – If you’re a single Filipina then check “NO” and put “N/A” on the space for the maiden name. If you’re married and traveled to South Korea when you were still single then you have to check “YES” then put your maiden name on the space provided. Item 4.2. Current Residential Address – I’ve written my permanent (and current) address on Item 4.1 so I wrote “SAME ADDRESS AS ABOVE” on this item. Item 9.4. Address in Korea/Item 9.5. Phone No. in Korea – I still haven’t decided on my accommodation at the time of my application so I put “UNDECIDED” on both these items. Item 9.7. Countries visited outside your country of residence in the last five years – I made a list of countries I’ve been to in the last five years, printed it out and put “SEE ATTACHED LIST” on the space provided. Item 10.1. Estimated travel costs (in US dollars) – I made a rough estimate on my possible expenses including food and accommodation and safe to say, $100 per day is good enough to write (assuming that you have more than that on your bank account/s). I put "US$600 (SIX HUNDRED US DOLLARS)" on the space provided given that I planned a six-day stay in Seoul. Section 12. Declaration – Write the date following the format provided and you have to sign on the “SIGNATURE OF APPLICANT” itself (supersede). Do not sign below it as this line is for the parent or guardian of a minor. Together with the completely filled out form and requirements, I went to the Embassy of the Republic of Korea in the Republic of the Philippines (see address below) wherein I arrived at exactly 7:30 am, one hour earlier than the start of processing time. I was asked by the security personnel to register on their log book. I was 15th on the queue and was called to get inside the office at 8:00 am. I was with a friend at that time which they allowed to enter the premises as well. There was an officer who asked us to line up for the queue number and inspected our requirements (taking out the unnecessary ones such as the photocopy of my company id). He then stapled it and gave me my number. There are three windows at the visa application office and I was assigned on the second one. It was not until 8:30 am when the Korean consular officers started to receive the applications. At 8:40 am, my number was flashed on the screen so I immediately went to the second window and sat on the chair provided. I greeted the officer and handed her the queuing number, my application form and requirements plus my original passport. She scanned through my documents and didn't say a word during that time. I was just given a piece of paper with the expected date of release of my passport. It only took me eleven minutes from the time that the processing started until I was given my claim slip. I waited for five working days for the release of my passport. During that time, I didn’t receive any call from the consular office regarding my application (like what I read from the experiences of other applicants). I arrived at the embassy at around 3:30 pm and aside from two other visitors, the place looked empty. I went to the officer who supervises the queue and handed him my claim slip. He then asked me to wait for my number to be called. After two minutes, I went at the second window and claimed my passport. There were no conversations or whatsoever with the officer and as I leave the embassy premises, I flipped through my passport and saw the visa that was pasted on one of the pages. I smiled and thanked the gracious security officers on my way out. Applying for a Korean Tourist Visa was my first ever visa application and it was a success. The key here is that you just have to fill out the application form legibly and honestly as well as pass all the requirements that were asked. After the approved visa, the nitty gritty part of organizing an itinerary for my first ever winter trip was next. 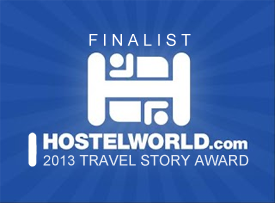 And have I told you that it's also my first ever solo trip abroad? Haha. Started last July 1, 2018, tourist visa applications in the Republic of Korea for Philippine passport-holders will need to be coursed through the embassy's officially designated travel agencies but the requirements are still the same. Walk-in applicants for regular tourist visa applications will no longer be accepted except for spouses and children of Koreans, government employees with official business trip, holders of visa issuance number, and those with humanitarian reason to travel to Republic of Korea urgently. It followed the suit of Applying for a Japan Tourist Visa in the Philippines. There will be a processing fee of P500 to P1,500 for every application. This is for their Manila office only, their Consulate office in Cebu will not be affected and they will still accept walk-in applicants. And here I am feeling jealous of Korea trip! Thank you for this post!! I just have a question, on the "Purpose of Visit to Korea", did you check both the "Tourism/Transit" and the "Other" choices? Then wrote "vacation" on the "If 'Other' please provide details"? They have application forms at the embassy. But it's better to download it online so as to have more time in filling it out. how about for the details of the sponsor? what should I write? I will finance everything but I am gonna stay at my friend's house. Wow hopefully i got approved though ive read that youre saying you indicated 600usd? Which is technically 30k in peso. Would it really be enough for 6days stay ? Our departure is Aug 21 and our application will be Aug 2. I know its kinda bit late as I have a hard time with the show money. Hi, what if magkaiba yung company ng nasa ITR ko at COE? Kakalipat ko lang kasi ng new company and ung previous company ko pa yung nasa ITR ko. Thanks! Hi girl, i'm a frst tym traveler and i just want to ask if mag pass ako ng application on Monday possible by friday ba ang result? Or the nxt monday pa? Thanks. If regular processing ng Korean Visa, next Monday mo rin makukuha. If express then mas mabilis. If you have a bank certificate from abroad then I think you can use it for applying for Korean Visa. Hi, the application form downloadable online exceeded the A4 size when printed. Would that be ok? Hope u respond. Thanks. Hi there! I think you can do that as well. Are you traveling with your sister? Meron po ba kayo list ng mga pinuntahan nyo? Hi! ask ko lang if necessary po ba na collared shirt dapat yng suot for the picture? Magkanu po ba dapat ang laman ng bank account?50k po ba eh sapat na para sa bank statement? Hello. Thank you for posting this. I just want to ask, is the ITR for 2016 or the current year? Thank you. But would the previous year's ITR be accepted if the applicant was not able to get the current year's? Hi, i am trying to print yung visa application form, pero di kasya ang isang page.. nasobra lagi yung last line. nag fill up ako online using pdfescape. pano po kaya yun? pag iprint ko kasi sya ng ganun, aabutin ng 10 pages..
Hi Thank you for this post! It is very helpful. I just wanna ask. I would just like to seek some advice. Me and my fiance who are about to get married this November 11 are planning to travel and to spend our honeymoon in Korea from November 13-17. My fiancé, I think shouldn't have a problem in applying for a Korean Visa as he has been to Korea already recently for a business trip. Now my concern is, is it possible for me to get a visa even without a Certificate of Employment? I am a previous OFW who just returned back to the Philippines last August as I am getting married, I managed to find a job here in the Philippines but will only be starting work on November 20, after our honeymoon trip. So I do not have a Certificate of Employment yet. Although I do have the offer letter from the company. I believe I do not fall under the Housewife category also as we will be applying for the visa before our marriage on November 11. Do you think attaching the offer letter would suffice for the Visa application? Thank you so much. Hi! Just a question, what if my brother's requirements are incomplete? specifically the ITR since he just started working this year. Is the bank statement/ certificate enough proof or should we write a written explanation instead? thank you very much! Hello, ok lang po ba pag di nalagyan ng n/a ang form? lol di ko kasi na lagyan eh. Photocopy lang din ng bank cert na bigay ko. 😅 Thank you po. Goodevening po.ask ko lang po.. balak ko pong mgapply ng korean visa this february.. macocomplete ko **** po ang requirements ko kaso ang problem ko ngayon minimum wage earner lang ako so yun po ang maiindicate sa itr at COe ko.. yung Sa bank account mga 75 k lang din ang laman ...almost 4 years npo ako sa work... mkakakaapekto po kaya sa application ko yung minimum wage earner lang ako.. thanks po..
Hi Leehwun! I'm a public school teacher myself and not earning as much. As long as they see your intent to return to the country and you could provide sufficient funds for your trip and you answer honestly on the questions then you have nothing to worry about on your Korean Visa Application. Hello, just wanna ask. Would it matter po ba if by group ka nag-apply or not? Huhu nauna po kasi ako sa mga friends ko kasi nung nagsabay kami sa embassy, me problema sa req nila, sakin lang yung tinanggap. Hi. What if me and my friend willapply for a Korean Visa. Possible ba na isang bank certificate lang maprovide? Siya din kasi magexpense ng trip namin eh. Though may work ako pero ung sa bank account medyo hindi maganda ang laman. Hi Lheng, Just to be sure about your Korean Visa Application, I think you may include your own bank records but write the name of your friend as the person who will fund your trip. And you may also file it at the same time. Hi po! Ask ko lang po kung pwedeng a day or 2 late than the given tentative release date ako pumunta to pickup my passport? Kasi student po ako at may pasok po ako usually everyday eh. Hi, public teacher po kayo? Did they look for your Authority to Travel docs or your COE sufficed? My sister is a public school teacher kasi and we'll travel to Korea on February. COE pa lang meron sya since medyo matagal daw mabigay yung Auth to Travel. Thanks. Hi, i heard there were lots of people applying for korean visa. what time did u go there to apply? Hello po. Ask ko lang po me and my cousins are planning to go to korea this coming April. Currently employed po ako ngayon. Maipapasa ko po lahat ng requirements na kailangan like COE and ITR. Ang problem ko lang po is Bank Cert and Bank Statement since wala po ako ng mga yun. Pero may mag sponsor naman po saken sa lahat ng expenses ko papuntang korea. Yung mag sponsor po na yun saken ay kasama ko din po sa tour na yan. Pwede po kaya na iisang bank cert and bank statement lang po ang ipresent nya? Kase kame po lahat na pupunta which is 5 adults and 2 childrens ay sya ang mag fund. Thanks in advance po. Paano po kung cousin ko po ang mag fund saken. Okay lang po ba na birth certificate lang? Bale lahat po ng documents na ipapasa ko is COE, ITR, Birth Cert and Bank Docs gamit ang payroll account ko plus yung bank docs po ng mag sponsor saken. Okay na po kaya yan para lang po ma approved visa ko? Thank you po. Ahm ask ko lang din po sa COE po okay lang po ba na walang landline number ng HR? Only email address lang po. Hello, ask ko lang po. Kasi yung tour namin Company ang sasagot. 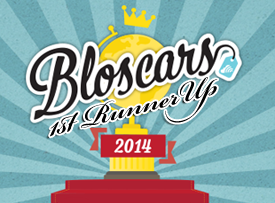 Need ko ba ilagay sa FUNDING DETAILS? Thank you! your blog is very helpful. Yung company rin ba mag shoulder ng flights, hotel, etc.? Do you have any idea if i can use my ITR and Passport with my maiden name and Bank Cert/Statements/COE with my married name? My BIR status and Passport are not yet updated that's why. My husband and I will be travelling for SK this August. TIA! Hi! My husband is a seafarer but we would like to go to korea as a leisure travel. Same requirements lang po ba kami to submit? hi.. okay lang ba na ung application form ko ay hindi hand written? I mean tinype ko through pc? bago prinent. hi..wala po akong bank certificate..pwede ko po ba gamitin yung bank certificate ng asawa ko, kaso yung maiden name pa nya yung nakalagay dun sa bank account nya..
Hi! I’m planning to apply for a korean visa this month. Okay lang kaya na yung mom ko yung ilagay ko sa HR sa COE ko since siya naman president ng company na im working for? Also, i’m gonna fund my trip but my mom’s also willing to shoulder some of my other expenses. What documents should i submit pa?. Thank you! For the CoE, I'm not really sure. For the financial documents, you should present your own documents. Hi po! Plan ko pong mag apply this December, im a minimum wage earner & gagmitin ko yung payroll bank account ko. Concerned lng po ako, kasi hindi ko po mapa stay consistent na malaking amount yung sa payroll account, dahil wini withdraw ko. So for example this week malaking amount then next week kaunti nlng, tapos the next two weeks malaki ulit. .And so on. Although by december kaya ko pong mag save ng sufficient amount sa bamk account para sa trip. Concern ko lng po kung yung amount sa 3 months na makikita sa cert ay hindi consistently malaki, should i be worried po? Feeling ko po ma dedeny ako eh. In this case pwede bang tita ko yung ideclare ko as financer although indi naman sya sasama sa trip? I heard from other applicants na medyo strict ang Korean Embassy in terms of financial documents. So I think you should maintain a stable deposit for three months. As for your aunt, all her documents should be submitted as well.